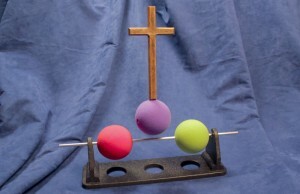 This “lite” version of the Three Ball Illustration is good for situations where a table for the stand is not available or the stand is not otherwise needed or desired. 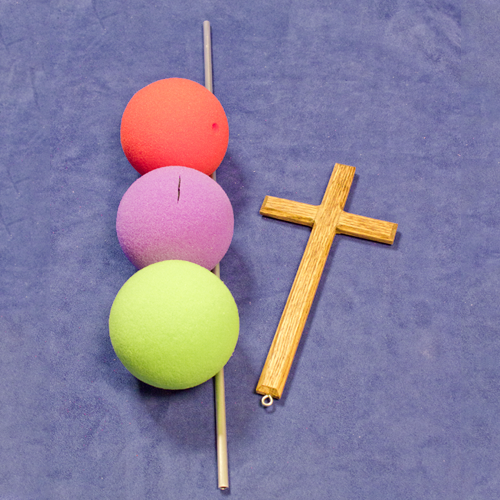 Helpers are enlisted to hold the ends of the rod. 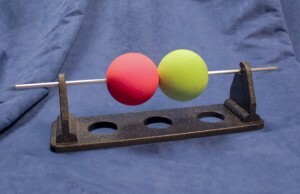 Another variation is to use a rope (not provided) instead of the included rod. 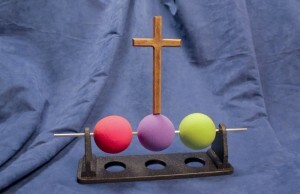 A smaller version, which is easily visible for groups of up to 500, is also available; both with and without the stand. 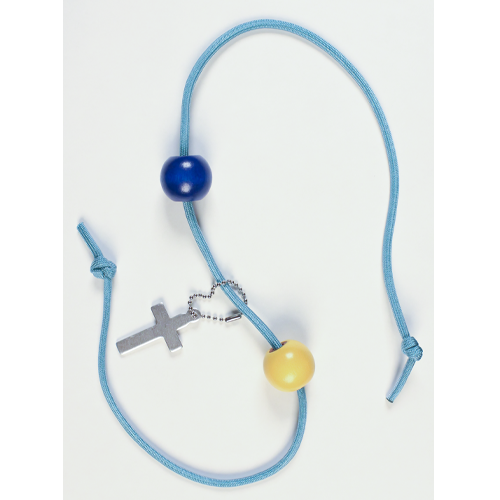 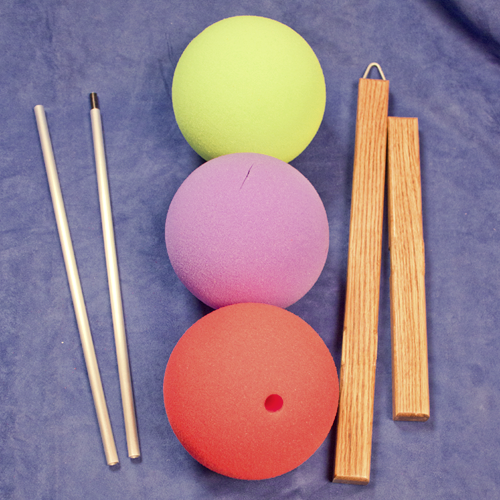 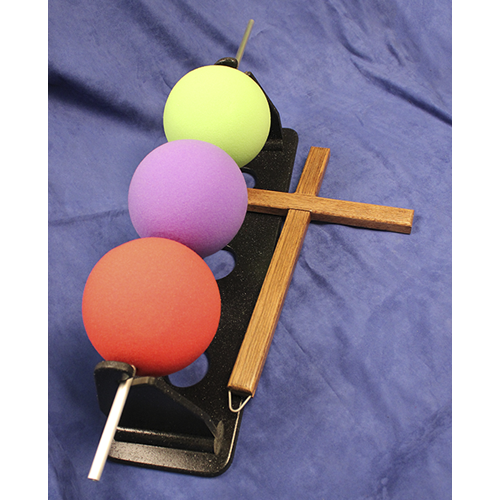 Includes: two part 36″ aluminum rod, 2 part wood cross, and three 7″ diameter balls. 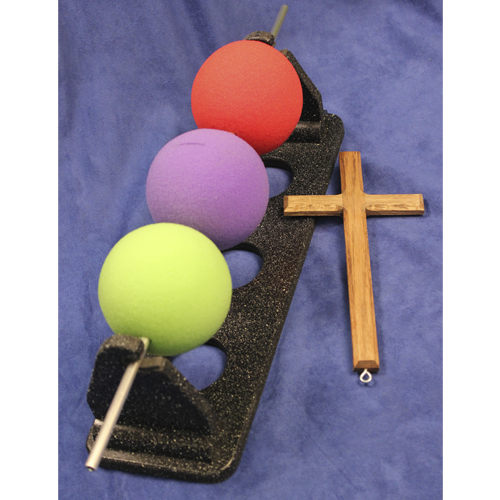 Following is a brief outline of this visual presentation with photos of the small version. 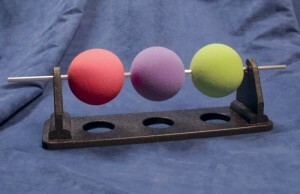 The Lite version does not come with the stand which is shown in these photos.